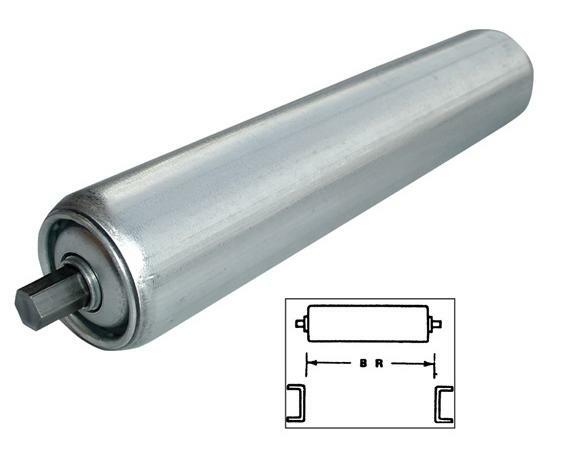 Due to differences in bearing hub projections, all rollers must be ordered with a between rail dimension or out to out length on bearings. Order minimum quantity is 11 pieces. FOB Shipping Point. 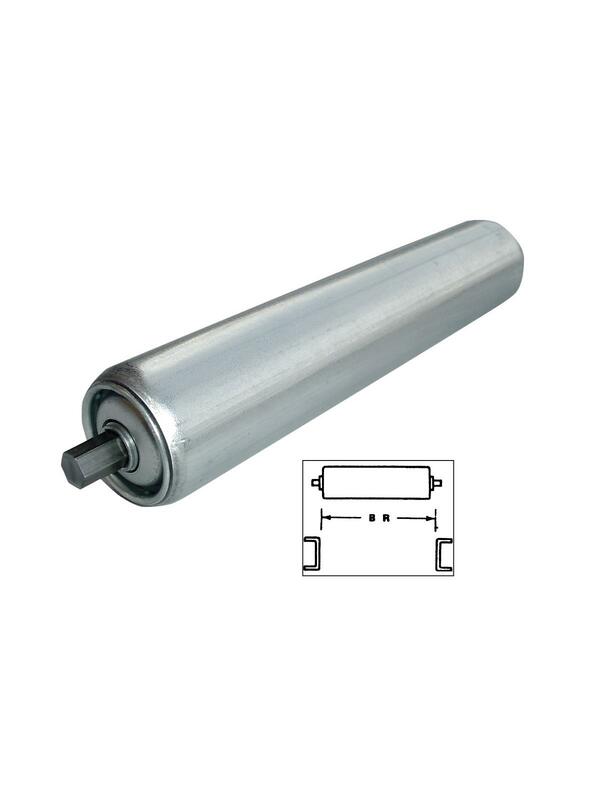 Call to order rollers longer than 10". See chart for max. length and additional cost per inch. Special Order 18" 24" 28" 34" 46" 50" 60"